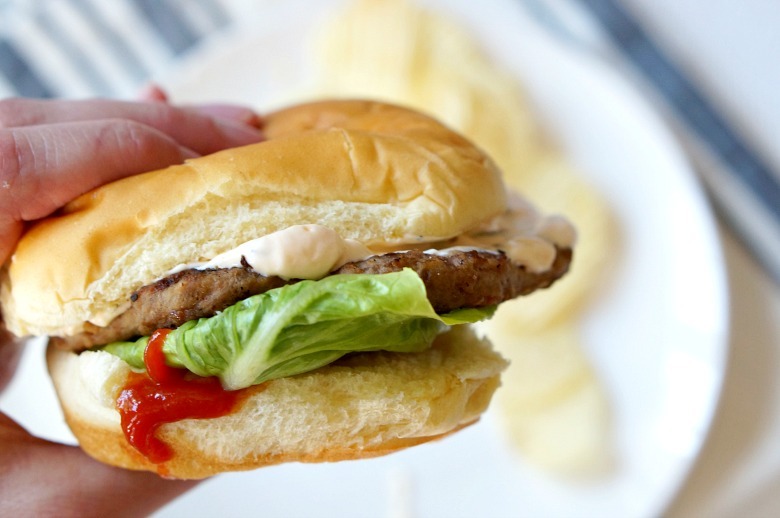 This recipe for Magic Sauce Burgers is a sponsored post written by me on behalf of Tyson Foods, Inc. All opinions are entirely my own. Magic Sauce Burgers. Easy burger bar party tips. Everything you need for an easy and casual outdoor BBQ. Can you keep a secret? Apparently, I can’t! I’m letting y’all in on my tips for hosting the world’s easiest burger bar party, AND sharing my recipe for the ultimate magic sauce. This is going to be one of your favorite summer BBQ backyard parties. Let’s bust out the flip flops and sunscreen and light up that grill. Summer here we come. Has winter clung on with all its might in your neck of the woods? It has down South, and I’m mighty irritated about it. That being said, now that it’s getting nice out, we’re all dashing outside when the sun pops out. The grill is cleaned, the furniture dusted off and we’re ready to entertain. But because the weather can be so darn fickle our outdoor spring soirees are gonna be last minute. Ain’t no thing, because when you grill with the best you don’t need a lot to spruce up the meal. 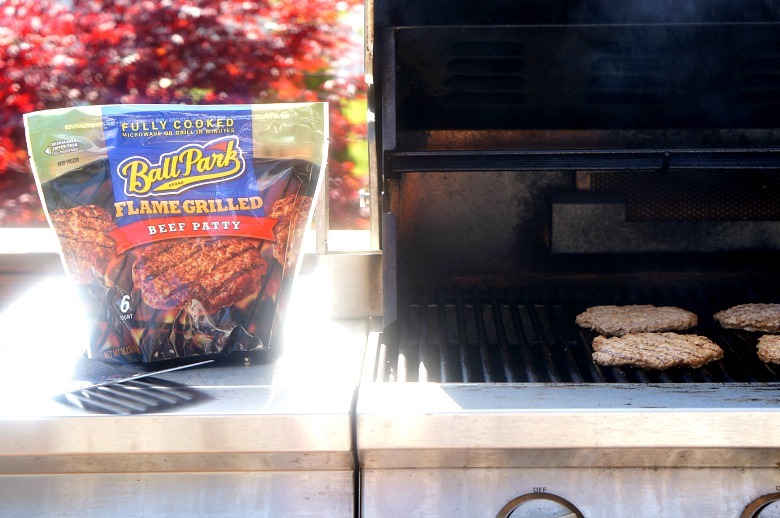 We’re keeping it simple this season with Ball Park® Beef Patties from Kroger’s frozen aisle. Because we never know when we’re going to want to have dinner on the grill (or a party for that matter), I like to keep a few packages in the freezer. It can’t be helped. I was raised to avoid putting condiment jars with labels on the table. (Mom, I blame you.) I’ve managed to let some of my inherited OCD tendencies slide, but this is one that has yet to go. 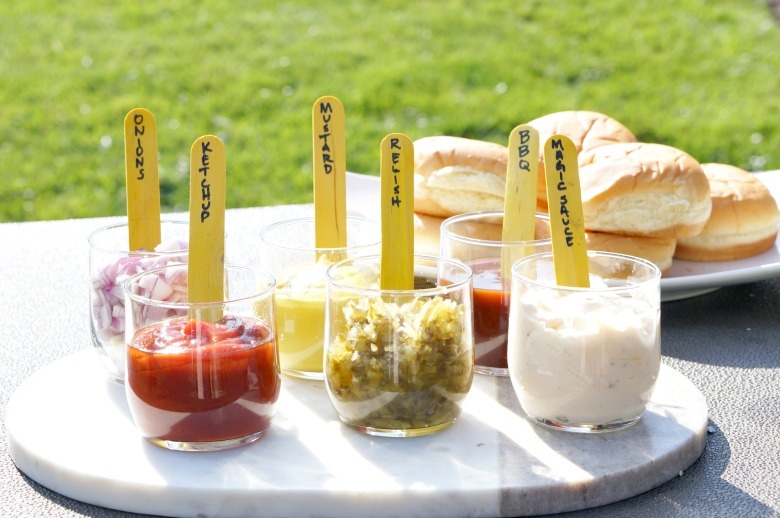 And, admittedly, it sure does look nice when you serve up plain old condiments in glass containers. If you’re hosting a party, just do this sometime earlier in the day so you aren’t bustling around last minute. I like to label disposable wooden spoons for a DIY vibe. Guys. If you like it spicy, and creamy, with just a little bit of tart, our Magic Sauce Burgers are THE WAY TO GO. I pinky-swear promise. And I’m not even a relish fan. To whip up this delectable delight, combine mayo, ketchup, buffalo sauce, sweet relish and seasonings in a bowl. If you can, make this a day in advance – time gives the flavors a chance to blend. Simply keep refrigerated until ready to use. And, if you’re like me, go ahead and add a little more of that hot sauce. 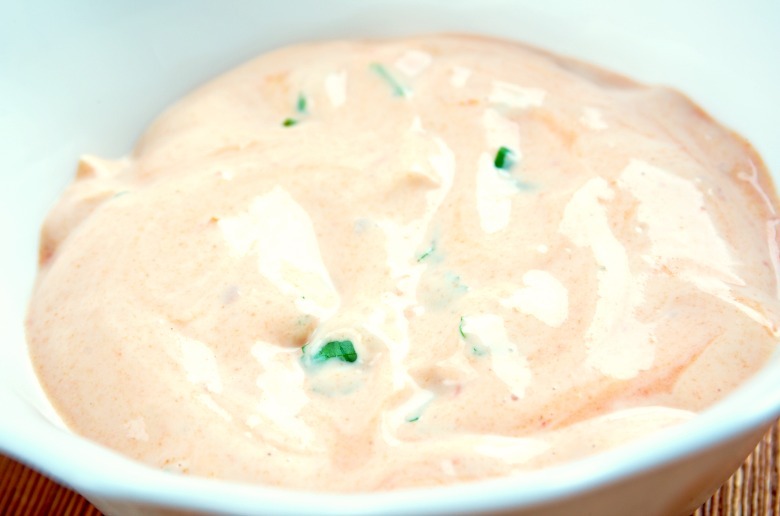 To whip up this delectable, delightful sauce, combine mayo, ketchup, buffalo sauce, sweet relish and seasonings in a bowl. If you can, make this a day in advance - time gives the flavors a chance to blend. Simply keep refrigerated until ready to use. 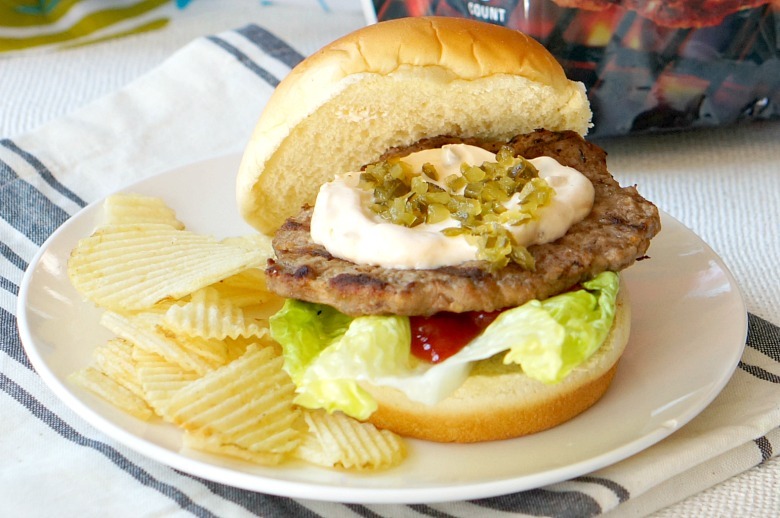 Serve with other condiments, burger buns, and Ball Park Beef Patties for the perfect summer burger bar party. 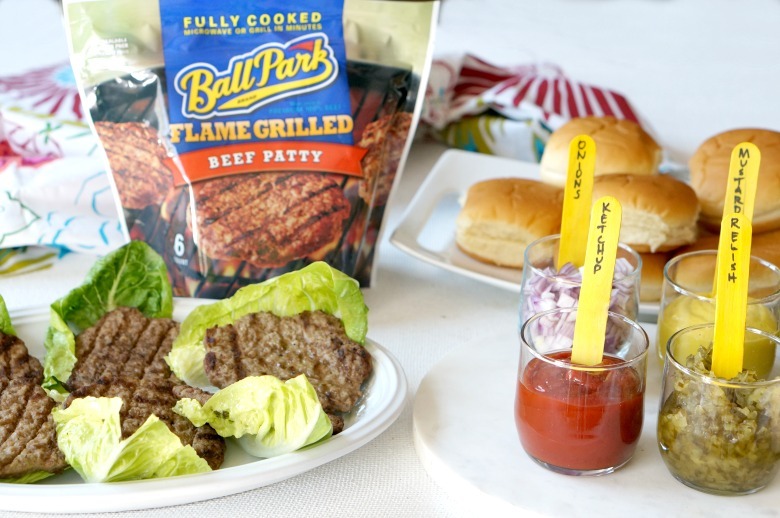 Create delicious summer meals with Ball Park Beef Patties and other simple foods from Kroger. Be sure to take advantage of Kroger ClickList where you can hop online for the products you need and pick up your order at the store from the convenience of your car! Why spend time grocery shopping when you can be hanging by the grill with friends and family? While you’re completing your ClickList order, be sure to grab the offer for savings on Ball Park Products. See you in the car loading zone! Need a few side ideas? Try our Asparagus Couscous Salad and this Creamy Four Cheese Macaroni!